Waldron Island is an isolated island in the San Juan Islands archipelago of Washington State. An old, weathered tree stump shows the effects of the elements. 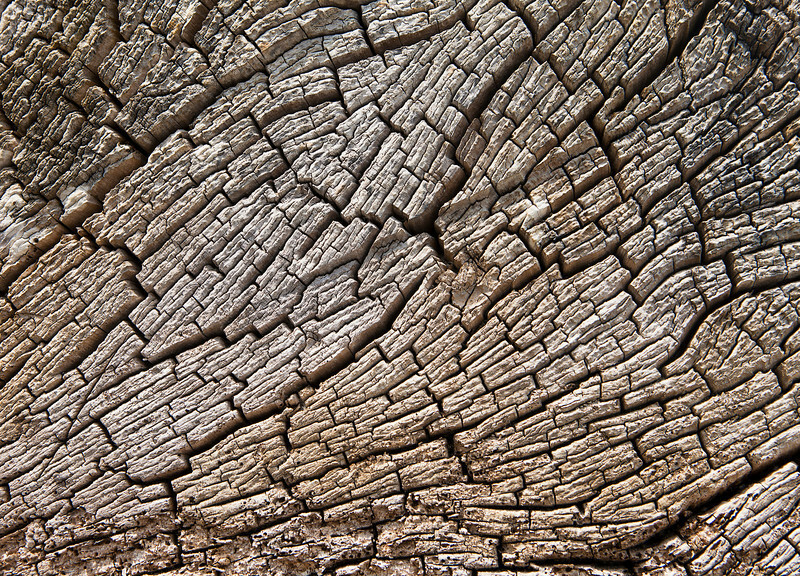 The texture results from small cracks in the typical tree ring pattern.